Turning a profit is a column focused on making gold in WoW, through farming materials, working professions and the Auction House. Children’s Week is upon us and if you are a savvy business woman/man, you can exploit the holiday to make good money. Players going for the Long Strange Trip Achievement and those trying to complete the Children’s Week meta Achievement will need some items that you can provide as a cook. Lets look at the two items after the break. 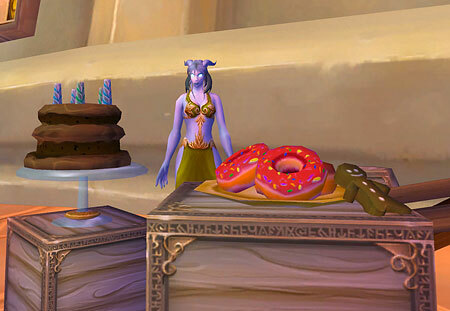 The recipe for this dish is a random drop from any Northrend mob and is fairly easy to obtain as it can only be seen by cooks with the skill and can only be rolled on if you don’t have the recipe. This recipe is a bit trickier to get, its a random drop from either the Outlands or Burning Crusade cooking daily rewards. But if you have been doing your dailies regularly chances are you proabably have it. I think only one of my alts is missing the recipe. Making and selling both items on the Auction House should prove to be very profitable. Set a short timer and repost often to avoid being undercut. Best Profits will come at the start of the holiday week and right at the end as latecomers scramble to complete their achievements. Don’t overlook the profit potential of selling the ingredients that need to be farmed. Plenty of players will spend money on the auction house to buy these items rather than farm them. 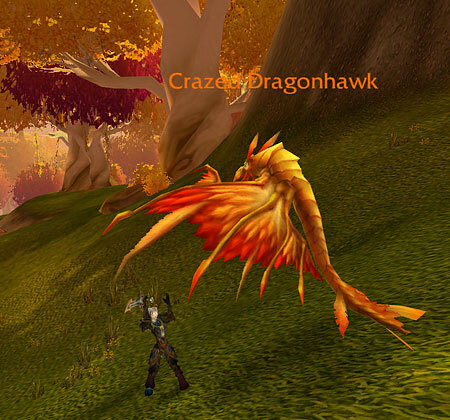 Small eggs drop from low level flying mobs and the best place to farm them is from the dragonhawks in Eversong woods with a 100% drop rate and a chance of dropping two eggs at once. Northern Eggs drops from any Northrend bird and are easy to farm as well. Enjoy this holiday week and profit well. This entry was posted in Turning a Profit and tagged Achievement Pts, Auction House, Cooking, World of Warcraft, WoW by Loren Ipsum. Bookmark the permalink.